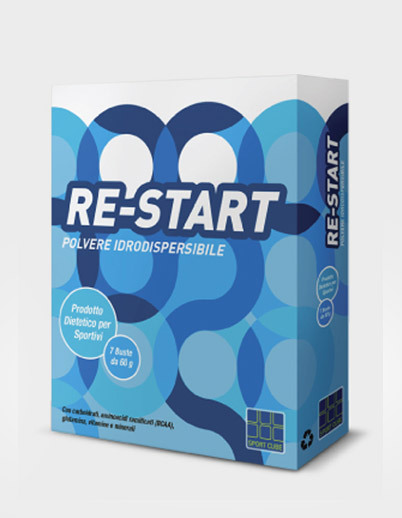 SportCube Re-Start is everything you need to go on after a prolonged and intense muscular effort. 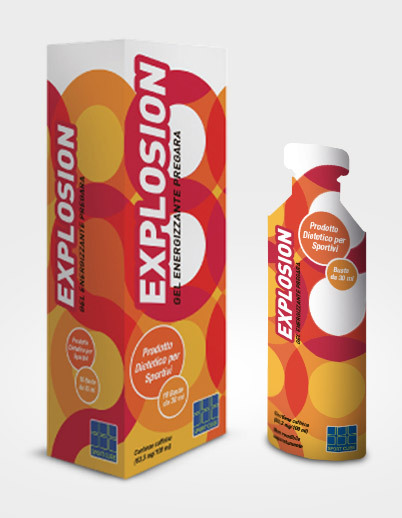 It is an energetic product based on fastly-absorbed sugars (saccarose, D-ribose and glucose) specifically studied for contributing to the fast recovery of energy after sport activities, giving to the organism and to the muscle all the necessary nutrients for going back to training in short time. 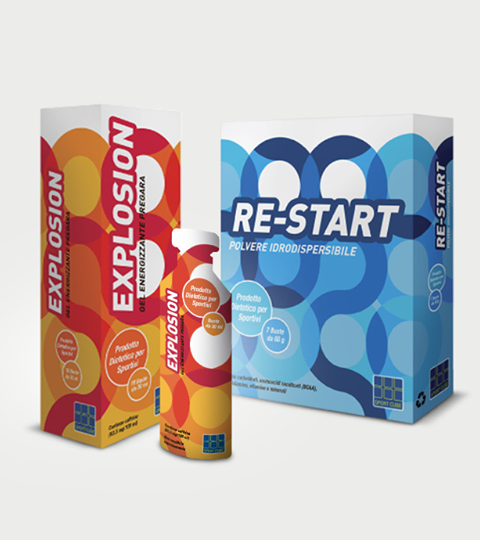 Premium Quality simple amino acids and amino acids in branched chains contain fast molecules directly usable by muscles and therefore more effective in the direct energetic production and in the conversion for the restoration of the glycogen reserve; SportCube Re-Start with the high intake of amino acids guarantees a fast recovery and the maintainance of muscular tone, whereas vitamins C and E and those of group B contribute to limiting the occurrence of oxidation phenomena. Magnesium and potassium restore the intake of the saline components in the organism. Unit type: 60gr single-dose sachet. Intake: dilute 1 sachet in 4-500 ml of water and drink 15-30 minutes after the effort. Ingredients: Sucrose, L-leucine, maltodextrine, L-valine, L-isoleucine, L-glutamine, D-ribose, glucose, acidifier: citric acid, potassium citrate, magnesium citrate, anti-caking agent: silicon dioxide, aromas, L-ascorbic acid (vitamin C, L-ascorbic acid), DL-alpha-tocopheryl acetate (vitamin E, starch, silicon dioxide), Nicotinamide (Niacin), Calcium D-pantothenate (vitamin B5), Cyanocobalamin powder (vitamin B12, citric acid, maltodextrin, trisodium citrate), Hydrochloride pyridoxine (vitamin B6), Riboflavin (vitamin B2), Hydrochloride thiamine (vitamin B1). Gluten-free and Lactose-free. Warnings: the foods supplements are not intended to be substitutes to a varied, balanced diet and a healthy lifestyle. The product is controindicated in case of renal and liver deseases, during pregnancy and under 12 years old. Do not exceed the suggested daily dosage. Discouraged during pregnancy and paediatric age. Keep away from children under age of three years old. Storage conditions: the product has to be stored at a temperature between 10°C and 25°C, in a dry place and away from localised light and heat sources.